Imagine a 5ft floor standing iPad, that’s essentially our Magic Mirror Photo Booth! A Mirror, that is all touchscreen, and takes photographer quality photos that your guests can sign, decorate with Emojis, print, or even text to their phones. Watch our videos and see how it works! Normally you may have to pay for different configurations and premium options, but with all of our Mirror Booth packages we let you choose whatever fits your style with no additional costs. 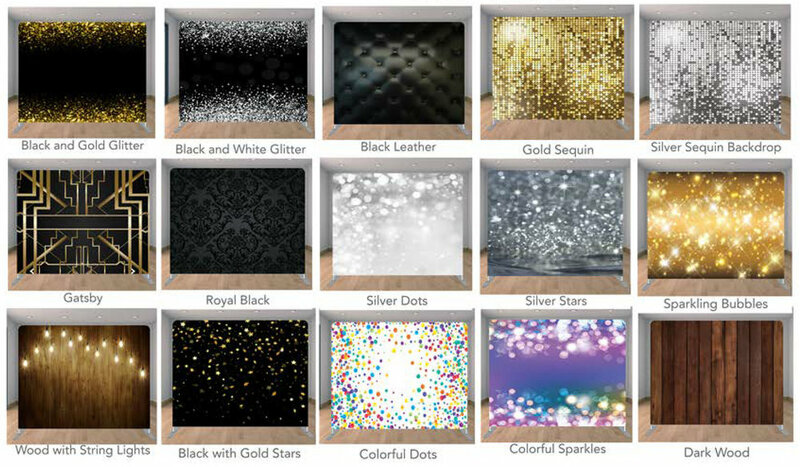 See whats available to you for your photo booth experience. An Open Booth Experience or any backdrop! Take $200 off all of our packages! Book Now Below To Take Advantage of $200 Off! Choose which booth you want to book!